Mercury, said to be one of the early Kings and the inventor of the hieroglyphic system. Gebelin asserts that it is from the Egyptians and Gypsies that Tarot cards were dispersed throughout Europe. 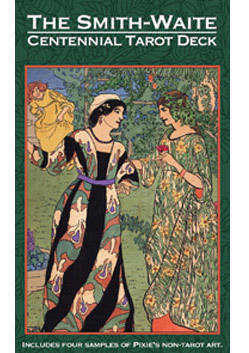 The emergence of Tarot cards in Europe predates by over five centuries the work of Waite. A German monk, Johannes, describes a game called Ludas Cartarum played in the year 1377. Covelluzzo, a fifteenth-century chronicler, relates the introduction into Viterbo of the game of cards in the year 1379. It is generally accepted that playing cards emerged in Europe in the latter half of the fourteenth century, probably first in Italy as a complete 78-card deck. Or perhaps some inventive genius subsequently combined the common 56 cards known as the Minor Arcana with the 22 esoteric and emblematic Tarot cards known as the Major Arcana to form the 78-card pack. 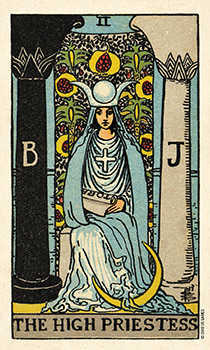 Today, Tarot fortune-telling readings generally take into account not only the individual divinatory meaning of a card but also the proximity between two or more cards and whether the card is upright or reversed (which weakens, delays and even reverses the meaning). 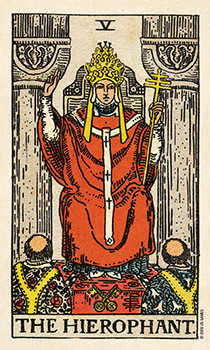 The brief descriptive title on each of the 22 Major Arcana cards serves as a catalyst toward a broader and deeper meaning, which the diviner seeks to express. 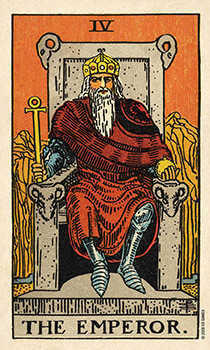 The 56 Lesser Arcana cards contain four suits including the usual court cards; King, Queen, Jack (Valet, Page) plus a fourth card, the Cavalier (Knight, Knave), which is placed between the Queen and the Jack. The suits are generally Swords (Spades), Batons or Wands (Clubs), Cups (Hearts), and Coins or Pentacles (Diamonds). Suit origins are believed to represent the four estates of life during medieval times: nobility or persons who held their rank by military service were symbolized by swords; peasants or working-class people by clubs; clergymen and statesmen by cups; and tradesmen and the industrial class by coins. Today’s ordinary decks of playing cards seemingly descend from the medieval Tarot decks. 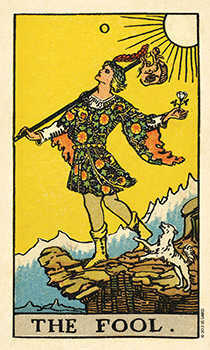 As card playing increased in popularity, the Major Arcana cards were dropped (except for The Fool which was retained as the Joker) and the Cavalier and Page were combined into today’s Jack, thus giving us the standard deck of 52 cards plus Joker. 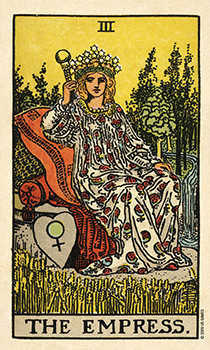 One of the fascinating aspects about Tarot cards is their personal affect upon the individual who uses them. 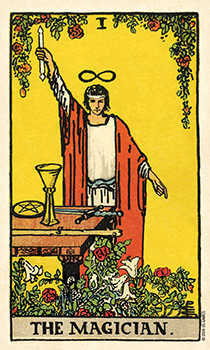 Waite successfully presents a new dimension to their meaning in The Key to the Tarot. Any Tarot reader, be they a serious scholar or a person dabbling in the occult, will benefit from Waite’s insight and keen perception.